Score: Loops : for improvising recorder player/s and computer tape / Ros Bandt. Score [ePDF]: Loops : for improvising recorder player/s and computer tape [eScore] / Ros Bandt. CD: Absolute bird / Hollis Taylor. 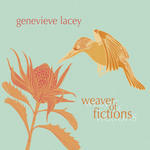 CD: Weaver of fictions / Genevieve Lacey.